Is It Necessary For Business People To Have Audience Specific Social Media Marketing? Social media works best when audience suggests any channel or message. In present times, most of our marketing efforts are still those that don’t meet the needs of the business owners. We feel that well known social media platforms like Facebook can provide us perfect audience. A channel sends the message to an audience we have already built. In the online marketing field, audience can be considered as the most useful asset. At present we have three types of marketing media which can be called as paid advertising, affiliate marketing as well as that which is earned by means of various reviews, shares, feature articles as well as guest posts. 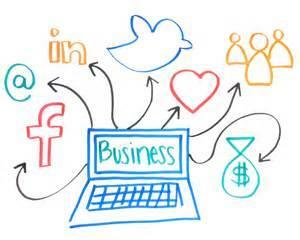 Social media marketing is a combination of all these ways. Social media marketing contains proprietary audience, fans that opt in to follow you and those who are mostly owned in social media sector. We should always remember one thing about proprietary audience, these are not owned and these can be left anytime. Sometimes, people are failed to develop audience because we are solely focused on developing the channels. Paid and owned media must be used to increase the size, engagement as well as the value of your proprietary audience. Be it any email newsletter, Facebook page or any website; it is necessary to have long term strategy to create audience. Avoid developing short term strategies to get proper audience. Creating huge audience is sustainable practice. The proprietary audience consists of different types of people. These have different buying habits and are classified into seekers, amplifiers and joiners. All the audiences are in search of the appropriate content that meets their needs. The content must offer right message at the right time by means of the right channel. So, what the right message is? What is the Right Message? The content must deliver the right message at right time to each and every part of the audience. Don’t just address a particular section of audience; your message should be useful to all audience types. It must be engaging enough. This can be done if you are aware about the type of content that is preferable by your audience. Call to action is recommended as this can increase the chances to get your content shared. Keep in mind the needs of your audience and serve them accordingly. Make your customers happy with your benevolent acts. Different social media channels have different cultures. If similar message is posted to all the social media platforms then it may be considered as lazy marketing. Know about the culture of various social media channels as this will help you to select the perfect channel to deliver right message to right people. The main aim to provide right message to right people at right time via right channel is to draw their attention and maintain it. This helps to create huge audience. Channel is the medium to deliver the right message to specific audience. With this blog post, we are sure you have got enough tips as to develop a perfect social media strategy keeping in mind the needs of your audience. For more such tips, stay tuned with Platinum SEO, Melbourne based SEO company Services.